Got A Ukulele Spring Competition - Win a Moselele Electro Concert! COMPETITION CLOSED - WATCH THIS SPACE FOR MORE PRIZE DRAWS! 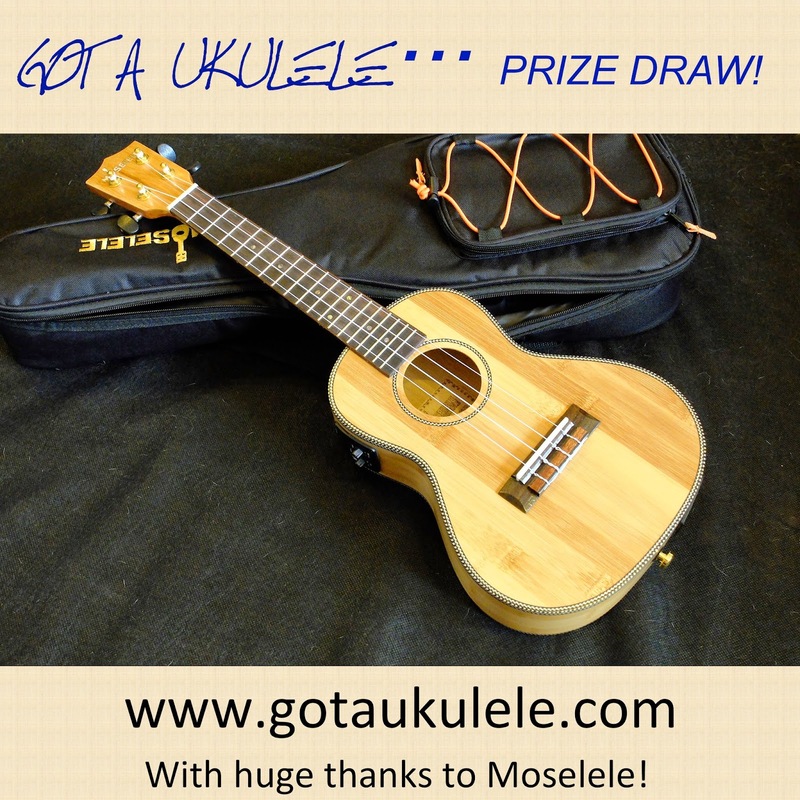 Time for another competition giveaway courtesy of Got A Ukulele and the fine folks at Moselele. Yes, you can win yourself a Moselele solid bamboo electro concert complete with gig bag! I do try to mix up how to enter my competitions, so this one is available on Facebook. You may have seen my recent review of this model of uke - http://www.gotaukulele.com/2015/03/moselele-solid-electro-concert.html Well - now one could be yours!! That's it really. Sorry but due to some horror stories with international shipping, this is open to people in the UK and EU ONLY!! Competition closes on 19 April 2015 and after that date I will make a random draw from the names. You must have shared the post and have liked the page to enter!! Please read the terms below and GOOD LUCK! 2. To be eligible for the draw you must enter have liked the Got A Ukulele Facebook page and shared the competition post to your timeline. 4. After the draw day, a winners name will be drawn from a hat (or hat shaped receptacle). My decision on the winnersis final and no correspondence will be entered into. 5. The winner will be selected within 7 days of the draw day, and will be announced on this site. I will also contact the winner by Facebook and they will need to provide a postal address for shipping. 6. This prizes have no alternative cash value. 10. The prize will be shipped to the winner direct. Got A Ukulele, Moselele or Barry Maz are not responsible for carriage of the prize and cannot be held responsible for problems with delivery. Your shipping address is critical as this is where the prize will be sent! Will there be an option for a left-handed version for the winner? Afraid not - it's the actual one in the picture that is available to win. Besides, I am not aware that Moselele do a left handed version. US excluded. Bummer, sad, sigh.